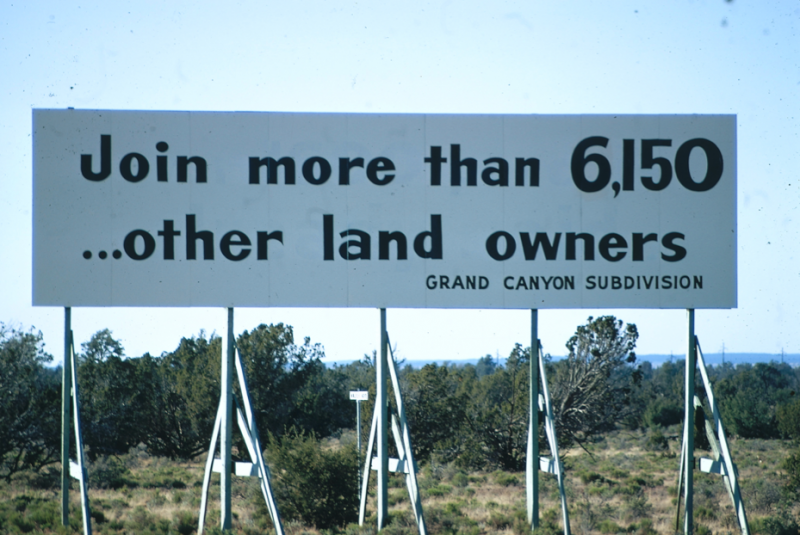 At its core, and presumably the justification of the project to the then-newly-created Environmental Protection Agency (EPA), the Documerica project, a collection of 20,000 images made between 1972 and 1977, was meant to “establish a ‘visual baseline’ of environmental images from which improvements could be measured” over time. Gifford Hampshire, director of the project, recognized that industry, pollution and consumption affect all aspects of American society, touching the lives of every individual and transforming the landscape in both dramatic and subtle ways. With this in mind, Hampshire sought to collect pictures depicting environmental issues, but wanted also to “document ‘the environmental movement itself’” and to show Americans “doing their environmental thing”. In fact, the photographs in the Documerica file extend far beyond people “doing their environmental thing”. Hampshire’s understanding of environmental issues as public health issues, implicated and experienced in every part of life, opened up anything and everything as a possible subject for the file. As a result, the Documerica archive is amorphous and broad, providing a kaleidoscopic portrait of America at a distance of four decades. 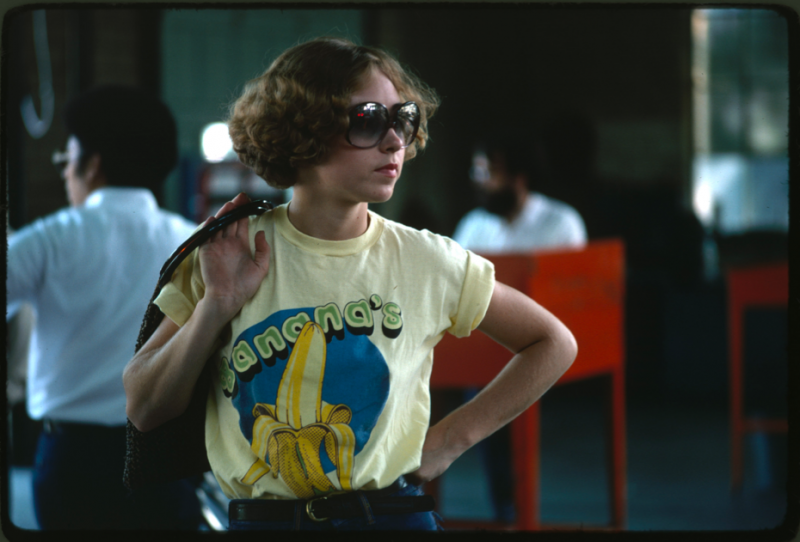 Documerica photographs were exhibited this year at the National Archives, and Searching for the Seventies: The Documerica Photography Project, by Bruce Bustard, a senior curator at the National Archive and Records Administration, was published to accompany the exhibit. The book deals with an uneasy and increasingly normalized relationship between industry, community and nature. It examines the expression of emerging cultural communities and identities, and the ways in which change and crisis seem to go hand in hand. The images in Searching for the Seventies vary in sensibility and approach. Hampshire hired more than 70 individual photographers for day-rate single assignments around America. Many are made in a newspaper style of the time, telling a discrete, tightly bounded story within a frame. Others evoke the conventions and traditions of National Geographic photography, where Hampshire had worked as an editor, in use of color and choice of subjects. Bustard notes that “The most successful Documerica undertakings produced photographs that were thoughtful, artistic, or provocative,” and certainly many of the pictures in the book achieve this. But the juxtaposition of different approaches to subjects so differently conceived often makes it difficult to read individual pictures meaningfully. We see what we are shown, but if there was a system to how the survey was produced, it’s not obvious in the book’s construction. With the individual voices of the photographers muted, the pictures lack a tight coherence. Distilling a 20,000 image archive into a 130 page book should be hard enough, but the “day in the life” approach to editing a project that was already sprawling keeps both engagement and meanings close to the surface. There are exceptions. Three photographers are showcased and their projects are presented as short photo essays: John White, best known as a Chicago Sun-Times photographer, who documented African-American communities in Chicago; Lyntha Scott Eiler, whose photographs in Arizona show changes produced by development; and Tom Hubbard’s study of public activities in Fountain Square in downtown Cincinnati that examines the use of public space. These formats give the photographs depth, and allow the reader to understand a little bit about the decisions that each photographer made in the selection and presentation of subjects. If the collection, as a large bundle of loosely associated images, was a strange beast in 1977, it may make more sense today, when we are used to information being available to us as tagged data. There is a suggestion that Hampshire had something like this in mind, as the Documerica archive was designed as one of the first, perhaps the first, keyword-tagged, computer-accessed databases of photographs. The archive was all but forgotten until it was shepherded back into public attention a few years ago when the National Archive began digitizing the collection and posting images to their flickr site and to a tumblr page. The collection has potentially more value now than when it was made, its images available for the narratives that new users may want to construct. And there is another respect in which these photographs may be more now than they were in the 70s. With the most marked aspects of this rediscovered file being the details of everyday life in the 1970s, it’s easy to overlook the specific environmental protection issues that were documented. The archive presents an excellent opportunity for reflection forty years later. Two pictures in the book in particular, both made in 1973, resonate with more recent times: a photograph by John Messina showing two children in front of a house after the Mississippi River rose and flooded areas around New Orleans and a picture by Erik Calonius, made in Ohio, of a woman holding a jar of well water polluted by the activity of a coal company. These pictures afford moments of self awareness, as we contemplate issues like disaster preparation and relief, and choices about fracking.